My coach Mark Otto is not one to pussyfoot around. A big reason we started to work together (after me coaching him in his business for years, and loving his approach) is so that I could manifest some bigger goals in my business. I have gotten to a stage of my life where I want to make a bigger impact. To do that, I need to change some well-worn creative habits that are fine when I am working on a smaller scale with individual business owners, but that get in my way when I am wanting to build some larger, scaleable initiatives. All of these statements have been at least in part true for me for the 22 years of my business life. Sure, I go through cycles of really intense work and focus, but in general, I have had a very organic approach to business development. Longer-term goals show results in the longer term. You don’t get the dopamine hit of a quick response (like you do answering an email, or responding to a client) when you are doing the activities that lead to longer-term results. Because you don’t see results in the short term, it is harder to believe your small steps are making a difference. But they are! Seeds planted in one quarter often pop up as results three, six or even nine months later. Inconsistent activities build inconsistent results. You can’t have wildly fluctuating actions (based on your mood, the weather, your rage at Twitter feeds) and have wildly predictable results. If you have some bigger goals in your business, it is really important to break down the huge goal in to really concrete, measureable steps. if you want to double or triple your revenue, you need to zero in on the types of activities that lead to more clients, and laser-focus your efforts on these activities on a clear, measurable way. If you want to attract a book deal and need to build your audience, you need to lock down on the daily activities that will bring more people to your yard. You need to know how many new audience members are in your goal, and break that down to a daily, weekly or monthly average. If you want to create a world-changing new initiative that challenges the status quo, you have to break that project down to a very clear first year goal. Does that involve building a new site, engaging funders or partners or getting people to vote? If so, what are your exact metrics? I have run my Giant Client Magnet program a couple of times, which is built on the philosophy that we need to take Tiny Marketing Actions (TMAs) daily in order to get real momentum in our businesses. Our goal for the program is 15 Tiny Marketing Actions a week. These can be as small as an email outreach to a past client, or a social media post. It is amazing how difficult it is for the class to maintain any type of consistency in taking weekly actions (myself included!). I think one barrier is that some people view the tiny actions as so small as to be inconsequential. From what Mark tells me on a weekly basis, wrong. It is exactly the small, measurable steps that we take each day that lead to the biggest difference. My friend Tim Berry, founder of Palo Alto Software, conducted a survey of customers and the results showed that those who engaged in planning (including metrics) doubled their chance for success. More on the results here. My new sponsor development initiative for the Learning Lab has a simple, measureable metric: 10 outreaches to new companies a week. No matter how many client issues, opportunities or crises come up. No matter what is happening with my family life. Every week I report on my progress in a dashboard. I cannot hide from the results. My commitment to the bigger idea has to be reflected in my commitment to the actions that will lead to realizing the vision. Let’s make your metrics measurable too! You can’t control how other people react. You can control your daily effort and actions. How can you break down your most important business goals this year and make them something you can measure on a daily or weekly basis? We have no idea how many customers will say yes to us. But we can look at the data and see over time that for every 10 customers who say no, one says yes. Then we can adjust our efforts accordingly so that we have more predictable results. 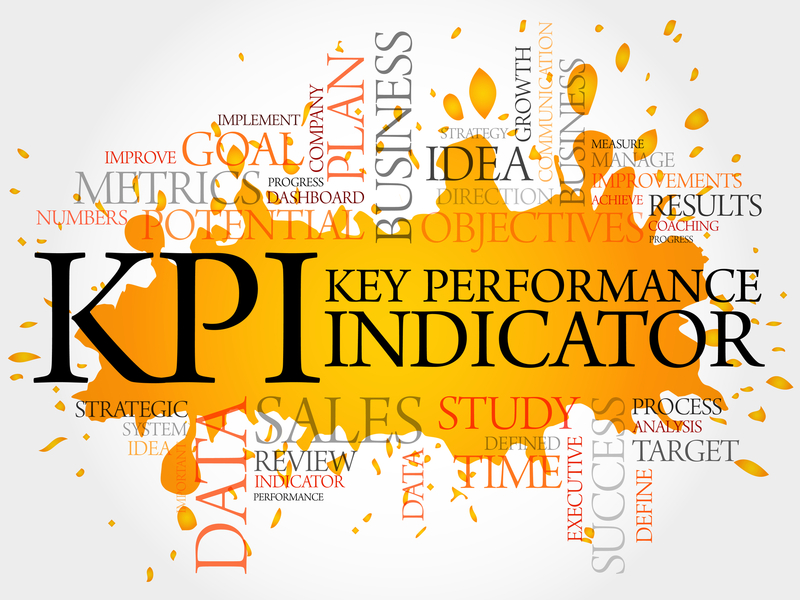 What are your business development metrics? How many outreaches, calls or connections do you need to make on a weekly basis? We cannot control if a publisher will say yes to our book proposal. But we can control the daily actions we do every day that lead to a bigger, more interested, engaged audience. A bigger audience can definitely lead to better chances of landing a book deal. What are your audience development metrics? How many new people do you want to attract on a weekly basis? We can’t control how people vote. But we can knock on doors every day, and have conversations with voters, engaging in dialogue about issues important to them and try to encourage them to show up at the polls (like my friend Debbie Nez Manuel who is running for Arizona State Senate does every day). What are your community engagement metrics? How many new conversations do you want to attract on a weekly basis? Do you have a tangible measurement tool like a petition or pledge card? Mark has helped turn me around (kicking and screaming a few times along the way) to embracing the power of metrics. I like to be accountable to a naked truth. I like to develop the discipline of taking action, no matter my mood. I like to know that I am in control of my own actions, and I can let go of the rest. Embracing measurement has increased my happiness and unleashed creativity in the place that matters — the delivery of my services and creation of my products. Embrace measurement and you will embrace results. Love this! The timing is perfect. It kind of reminds me of the discipline needed for an exercise regimen. Makes sense that you need small, repetitive actions to make forward progress, even if you can’t see the impact right away. Also I learned a new word: Vaguery. Which I’m guilty of in this season of my business. Thanks for a thought provoking article Pamela! Thanks for weighing in Jan! This method works so well for exercise too, you are right! As a baseball fan, I can tell you that the “small steps” approach is similar to the difference between hitting a lot of singles–or depending on the home run to win ballgames. (Unfortuately, my Blue Jays tend to go for the latter rather then the former, which means there are lots of winnable games that are lost!) My problem is that I can’t “turn it off”–I start doing the small daily steps of one project–and then get lost in it, and start doing more and more–and then the other projects get lost….